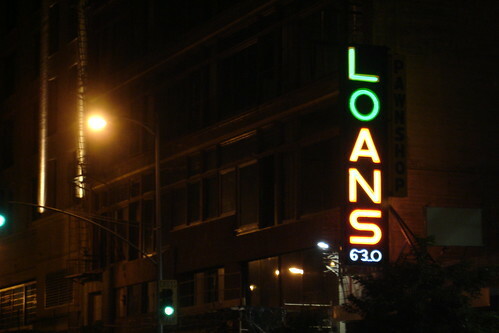 Are Lawsuit Loans a Good Idea? Even after a personal injury lawsuit is settled, it can take a long time for plaintiffs to receive their settlement or award. Often, this presents major problems for the plaintiff, who may have been seriously injured in the accident and is having trouble paying the bills. These plaintiffs face the difficult question of whether to accept loans from high-interest legal financing companies, the subject of a major New York Times story this weekend. While the companies provide much-needed funds in difficult times, they are mostly unregulated by state and federal agencies, meaning they are not bound by financial ethics rules that govern banks. “It takes advantage of the meek, the weak and the ignorant,” said New York personal injury lawyer Robert Genis. “It’s legal loan-sharking.” That view is supported by a large number of personal injury lawyers, who point to the fact that most states do not put a cap on interest rates, enabling the legal finance companies to charge upwards of 100 percent interest. The idea is simple. Faced with rising debts before the personal injury plaintiff’s settlement or award has arrived, he or she can turn to a legal finance company looking for a short-term loan. If the plaintiff wins his or her case, the settlement or award is put toward paying off the loan. These loan agencies justify the outlandish interest rates because lawsuits are inherently unpredictable, meaning they are taking on a major risk with the loans. Stephen Gillers of the Legal Ethics Forum blog points out a benefit of legal financing that the Times overlooks. Without short term funding, plaintiffs might consider settling for a much smaller amount in order to receive funds quickly. In these cases, the lack of temporary loans would prevent personal injury victims from getting the settlement they deserve. Still, legal financing is risky for many personal injury plaintiffs, which explains why many lawyers are reluctant to suggest the practice to their clients. Whether your support or oppose legal financing, though, it’s clear that the practice would benefit from some sort of government regulation, similar to the type that banks are subject to. The Times story was part of the series “Betting on Justice” co-sponsored by the Center for Public Integrity, a non-profit investigative journalism website. We’ll keep you posted on future stories by the partnership. Also see our timeline of a personal injury lawsuit.